During the Hashemite era, he worked in several jobs; he worked as a chief justice, then a secretary of the Caliphate Shura Council. 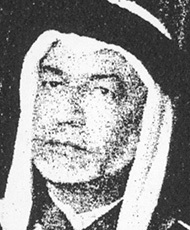 During ibn Saud reign, he chaired the justice board, and during King Abdel Aziz reign, he chaired the secretariat of the Shura Council, then a Council member, then a deputy chairman of the Shura Council. He worked as an editor in chief at Umm Al Qura newspaper, Sout Al Hijaz newspaper, and Al Islah magazine. He also co-founded Al Isaaf Al Khairi society in Makkah, which played a prominent moral role then.